Beautiful, move-in ready home with 3 bedrooms / 2 full baths and large family room/dining area. 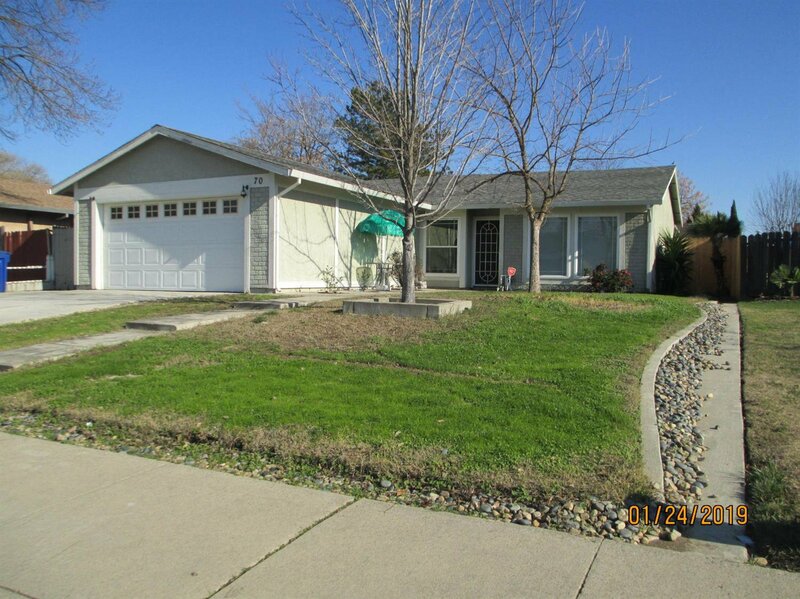 Very open and bright, recently remodeled with new carpet, granite counter tops, vanities, fresh paint and much more. Nice sunroom, very low maintenance backyard, convenient commute with proximity to hwy 99, I-5, light rail station and Consumes River Community College. Elk Grove School District. Listing courtesy of Legacy Real Estate. Selling Office: RE/MAX Gold of Fairfield.